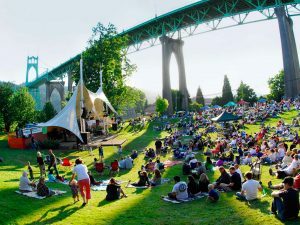 Keep Portland weird – code for keeping it a well-kept secret – might become a challenge for locals as population soars in this Pacific Northwest metropolis. 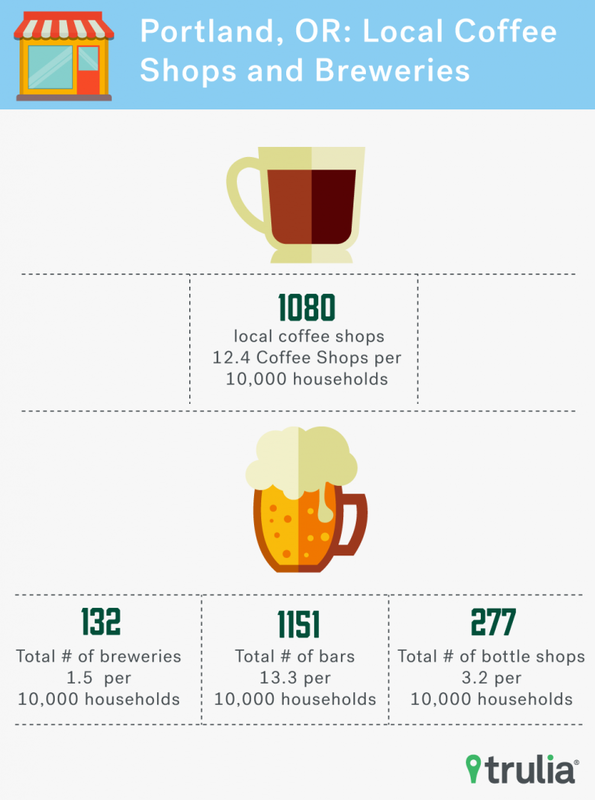 Despite an influx of newcomers, Portland retains its small town feel and still takes pride in its hipsters, breweries, bike-friendliness, and general quirkiness. The media tends to poke fun at Portland’s laid back artsy lifestyle, like in the popular television show Portlandia, but prospective movers are beginning to see it as more than just a “weird” place. The offbeat way of life and beautiful outdoors scene are two of the biggest draws for transplants, but those aren’t the only reason people are flocking here. Portland’s alluring lifestyle happens to coincide with its booming economy, and relative affordability — a formula for mass migration. Skilled workers in traditional tech hubs like the Bay Area and other pricey metro areas view Portland as the ideal place to find a job without having to make huge adjustments to their lifestyle. “Although prices have gone up – for housing, for food, for entertainment – our costs are still lower than any other west or east coast with a population of 600,000 or more,” says Rachel Freed, managing broker of Urban Nest Realty. Diala Taneeb of Mashvisor , an investment real estate site, says millennials are choosing Portland not only to get away from other competitive markets on the West Coast, but for the availability of jobs with comparable salaries. 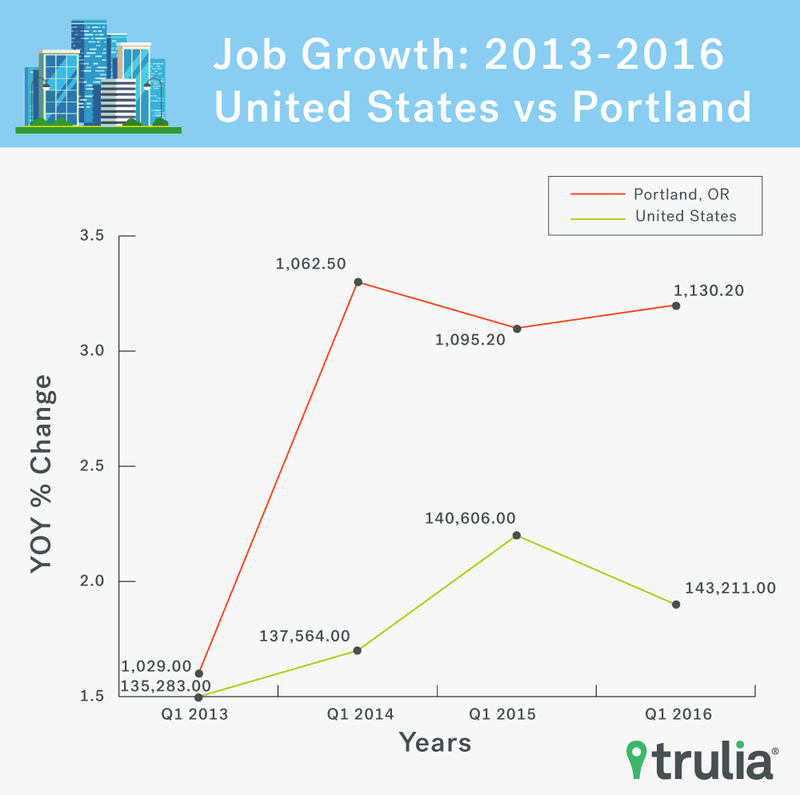 With an estimated population of more than 630,000, Portland is now the 26th largest city in the country. The population has increased 148% since 1968, and 9.2% in the last year. “This influx of people means an increase in neighborhood revitalization directly strengthening the neighborhood communities, resulting in more retail and service industry needs, thus, more jobs,” says Martin. Rapid growth also means housing inventory is tighter than ever in Portland. As of the first quarter in 2017, there were only 4,016 homes on the market in Portland, OR , which is 4,445 less than Q1 in 2012 when the market bottomed. Portland city officials project a 42% growth in population over the next 20 years. 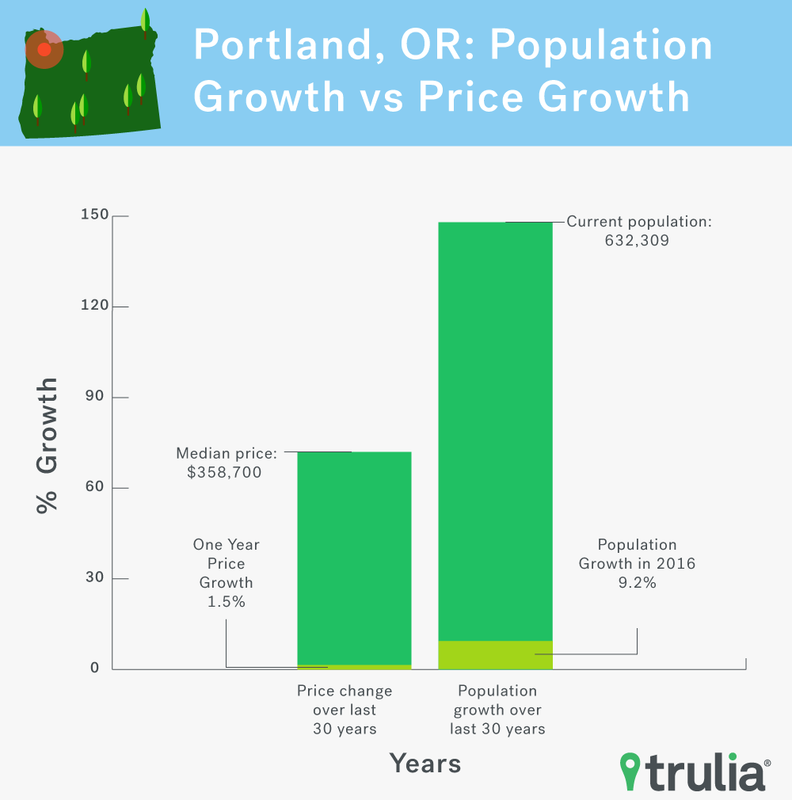 Prior urban growth restrictions made adapting to the growing population difficult, but the Portland City Council unveiled plans last year to address major changes in the Portland, OR real estate market . This means taller towers downtown, more apartments in single-family neighborhoods, and perhaps even a new streetcar line by 2035.